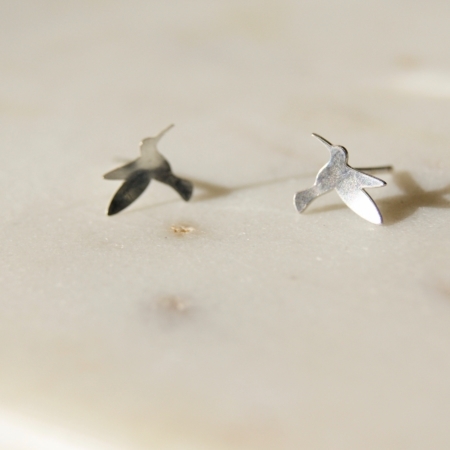 Hummingbird earrings, sterling silver and made in the UK. A wonderful addition to your wardrobe, or a great gift. 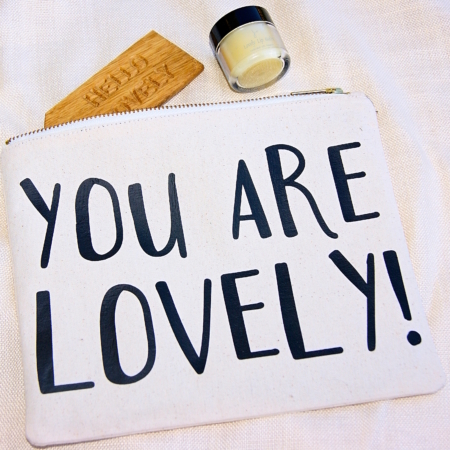 A lovely gift for friends or family. Arrive wrapped in ethically sourced tissue. 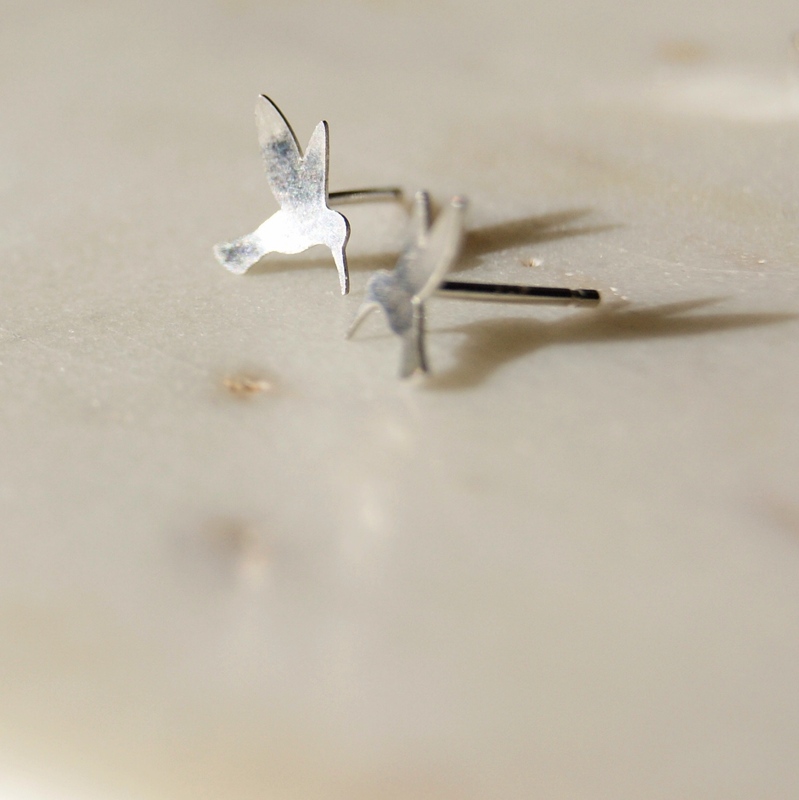 Hummingbird earrings, sterling silver and made in the UK. 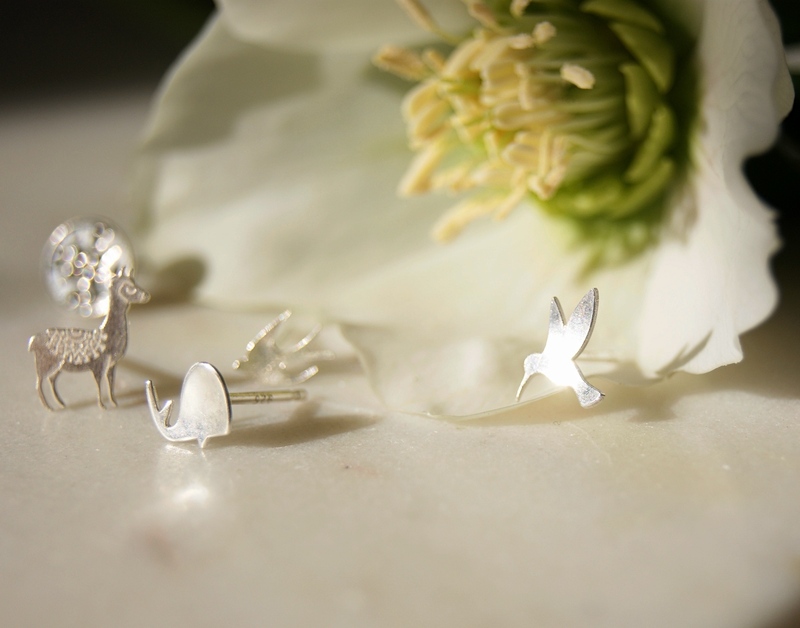 Beautiful little silver birds make a wonderful addition to your wardrobe. 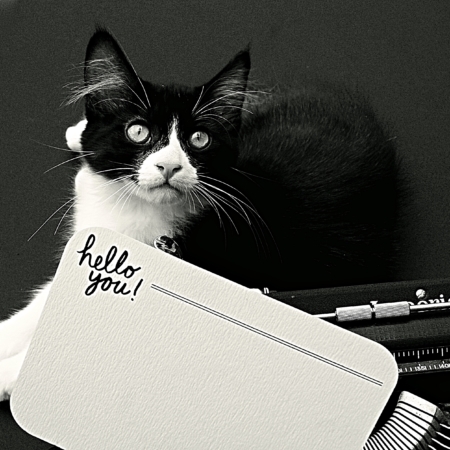 Or a lovely gift. They arrive, wrapped in ethically sourced tissue, with boxes available for an extra cost.